Found: Cucurbit downy mildew has been confirmed on cucumber in areas near Swedesboro/Glassboro (Gloucester County). This is the first report of cucurbit downy mildew in the mid-Atlantic region this year. Crop(s) at risk: all cucurbit crops in New Jersey. Control of cucurbit downy mildew begins with regular scouting, recognizing symptoms and weekly protectant fungicide applications. Now that downy mildew has been detected growers should scout on a daily basis and add a downy mildew specific fungicides to regular fungicide program. As a note, powdery mildew is also active in cucurbits. Remember, all abandoned cucumber and summer squash fields should be sprayed with gramoxone or disced under immediately after last harvest to kill the foliage! Abandoned fields left unattended after use will only serve as a source of inoculum for other fields once downy mildew makes its way into our area. To track the progress of cucurbit downy mildew in the eastern US and to keep up with reports of Downy mildew from other states please visit North Carolina State University’s Cucurbit Downy Mildew Forecasting Center at http://www.ces.ncsu.edu/depts/pp/ cucurbit/. If you suspect downy mildew on your farm, please contact your county agent or Andy Wyenandt (856) 455-3100 ext 4144. Welcome to the Board of Ag News. 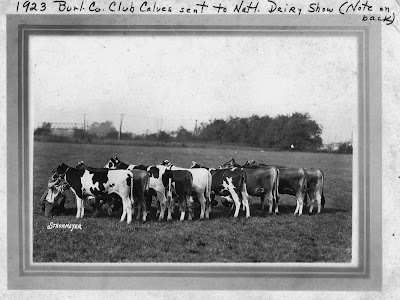 This newly created blog will enable the Burlington County Board of Agriculture to share important news and updates with the entire Burlington County Agricultural Community. You can subscribe via email to receive updates to the blog as they become available. The blog is a work in progress, so check back for updates. We appreciate your patience as we begin to develop this new tool for the benefit of all our members.